Happy Labour Day! 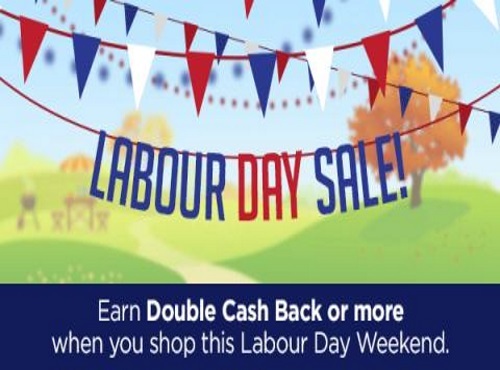 This weekend Swagbucks, an online rewards program that gives you cash back for completing online activities such a shopping online, is running a great Labour Day Sale on their site. You work hard all year, its time to treat yourself and put some cash back in your wallet while you're at it. Great shop discounts available now through September 5! Earn Double Cash Back or more when you shop this Labor Day Weekend at your favorite stores including: Walmart, eBay Target, Old Navy, Macy's, Gap, JCPenney, The Home Depot Lowe's, Bed Bath & Beyond, Groupon, Living Social and many, many more! Not a Swagbucks member yet? Click here to sign up, it's a Free online rewards program that I've been a member of for many. many years and use the site everyday to earn free money!